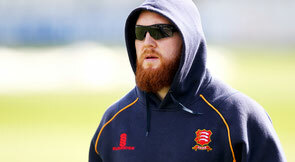 Connor Browne is the lead Strength and Conditioning Coach for Essex Cricket Club and the founder of Tenax Performance. Prior to holding these positions, Connor has worked in a variety of professional sporting organizations in his career including professional rugby with London Irish RFC, London Wasps, and the England Women’s Rugby team. He believes that coaches have the great opportunity to teach and develop a growth mindset which will not only benefit his athletes on the field, but off of it as well. Note from Matt: The interview was recorded over Skype months ago and then transcribed by me. Matt: Tell me how you first got involved with strength and fitness? How did that lead to the career you have today? Connor: Sure thing. I was able to play rugby to a reasonably high level. I didn’t make it to the professional level, but I still had a fair crack. Strength and conditioning is quite big in the sport so I just got the bug for it, you know? I didn’t really know much about it initially. I just liked going to the gym. I figured I’d try to become a physio, which I think is an athletic trainer for you (in the States). I started to look into jobs and heard rumors that each job opening was getting something like 300 applicants for a single spot. I quickly realized that I had better do something to separate myself from the crowd so I looked towards Uni. So, I applied for Uni, went there, did the degree. Thinking back, I realize that I really had no idea what to do before I started my course work. School really helped me and I got some great experience working at the same time. I was able to work with England’s women rugby team helping out the head of their S&C. I also did voluntary S&C full-time the year after graduating with the Irish Rugby club. I was even given the opportunity to travel with the women’s rugby team for the Nations Cup at UCSB in 2011. So, at that point in time, the head of S&C for England’s rugby team got a job for the London Wasps and asked me to come along. It was my first proper paid job as a Strength and Conditioning coach which I really needed (laughing). Right place right time. His name was Dan Howells and he is now the Head of Athletic Performance for the England Men’s 7 team. Great guy. I wouldn’t be where I am without him. My philosophy is still very much based on things that I picked up from him. It definitely wasn’t easy in the beginning while working with the Wasps. I still had to do side-jobs to make it work. I worked as a bouncer at a nightclub in London for 3-4 years to stay afloat. I was working night and day, getting ill all the time. The reason I bring that up is because when you put up a job or internship now, compared to a few years ago, everyone asks whether it’s paid or not. I say, “Well if it’s paid I wouldn’t be talking to you.” (laughing). These kids have no experience. I wouldn’t pay them to work on my house, you know what I mean? I know it’s hard to make things work with an unpaid internship, but that’s just how the market is for S&C coaches right now. I went through it and I have a pretty good job as a result. So, after working my way up for a while I ended up applying for the S&C job for the Essex Cricket Club. I’ve been working with the club as the lead S&C coach for the last two years. Matt: What are your main responsibilities for the Essex Cricket Club? Your coaching seems to have some unique challenges because your players travel so much in the offseason. Connor: My main roles are to coach the senior level professional, coach the Essex academy, and oversee my assistant who is coaching the youth team. I’m mainly focused on programming, monitoring the professionals workouts, and educating my players. That’s a bit broad, but it’s a lot of players so it quite a bit of time. The job is very different when you compare it to strength coaching for rugby. In rugby you’re there for every gym session at the facility. Everything is controlled and you know all the equipment that will be available. In cricket our players will play for international teams around the world during the offseason. Since they work out so much on their own I spend a lot of time trying to give them the ability to workout and monitor themselves. If you saw me in the gym you might think I don’t do much. I’m usually off in a corner sitting by the dumbbells just watching. But that’s important because some of these lads could be doing as many as 75% of their workouts by themselves! I have to train them to make adjustments and monitor their workouts or else this wouldn’t work. When I talk to the players they might not always make the optimal choice, but that’s alright. It’s a learning process. It used to be a huge challenge for me to write and track all of their workouts through emails, spreadsheets, and PDFs. That’s actually why I sought out a software like StrengthPortal. I started using your software about two years ago and it really made a difference. I didn’t even know something like this existed (laughing). Since I’m managing so many players, in-person and remote, the software helps me manage the process. In-Season is where the software becomes even more useful. I could have players at the top of England, at the bottom of England, and injured lads elsewhere all at the same time. Matt: What’s your day-to-day look like right now? Connor: My day-to-day is always changing based on the seasons. Right now the team is in our offseason and the lads are mostly indoors due to the weather. There’s no outdoor training at all because we’re in England. The lads have sessions throughout the day with various coaches and I get them for about an hour, give or take. Each player will do the work that’s most valuable to them. Mobility work for some, speed mechanics, cardio for others, and for the ones who are ready for it good ol’ fashioned strength and conditioning work. My boys get a lot of mileage in during the week with the running they have to do, so I have to be very strategic with periodization and my planning. I can’t really follow the bible on S&C, you know? We run to get fitter and we lift to get stronger. These aren’t Olympians. We’re not pursuing 1% gains. They just need to put in the work and then I can start getting more specific once a certain fitness level is reached. Once the daily workout sessions are done I’m spending a lot of time communicating with the players and doing programming on StrengthPortal. We have players who travel all over to Australia, Sri Lanka, South Africa, New Zealand, and more. The players track their workouts on the mobile app and I check the feedback and data so I can write their workouts for the upcoming week. My main goal with the remote players is to figure out when to push them for a heavy week or when to just make sure they stay active. On top of that, there’s a bunch of other little things that fill up the week, such as going to the shop and buying healthy cereals and milk for the lads (laughing). Matt: I was really excited to do this interview because you were actually one of our first paying customers when our company was starting. How else has StrengthPortal helped you as a coach? Connor: Well since I started in rugby I noticed a lot of differences when I first started doing strength coaching in cricket. In rugby lifting is a part of the culture. Every player knows what a single-arm dumbbell curl is, for example. In cricket if I tell a player to do that exercise they’d say, “What’s that?” When they see the exercise they say, “Ohhhh that thing.” They call like 70 exercise “that thing” (laughing). When we first started using StrengthPortal with our team I immediately noticed the effect the app was having on the players. They could quickly look at the exercise video so they knew what they were doing and even look at the last few numbers they recorded for that specific exercise. My team and I decided to create all of our own footage for the exercises. Just super quick video clips, 10-15 seconds, to make it easier for our players. This way it takes less time to load in the gym and they can get back the workouts. Matt: Recently you told me about a new opportunity that you were going to pursue because of StrengthPortal? Can you tell us a little bit about that? Connor: Yeah, absolutely. So basically Essex is surrounded by counties with small youth cricket clubs. 90% of these clubs don’t have any S&C support. They don’t have the funding or gym access to make it work. S&C is not the highest paid profession in the world, as we all know. The parents of these kids also don’t have the time or money to help their kids in this area either. So, as a business venture I am looking into extending my online coaching to these youth cricket clubs. StrengthPortal gives me the ability to work with more people online, so I have the opportunity to sell programming to these cricket clubs to follow. I can put the kids in different groups based on their experience and help with their progress which is really exciting. I could have done this all on Excel, but it would have taken a ton of time and effort. It’s not only easier for me, but it’s much, much easier for the kids to track a workout I send them through the app. Matt: Where do you see yourself taking your coaching services over the next few years? Connor: Tenax Performance, my personal coaching company, has been going for about a year but I haven’t really taken it public until this point. I definitely see myself pursuing these athletic markets to deliver quality programming to those who can really benefit from it. Getting my own website up and using StrengthPortal allows me to do this. These tools allow me to build a more profitable, sustainable career which traditionally has been really tough to do as a strength and conditioning coach. Now I can reach more people than ever before through my services. What I do know is that now I have a much higher quality coaching service compared to what I used to offer when I used emails and PDFs. I hope to continue to grow this and eventually bring own more coaches under my coaching brand. There’s a lot of teams out there who can’t afford a full-time strength and conditioning coach and services like ours can help. I just started consulting with the Denmark national cricket team and they knew that their team fitness was something that had let them down in the past few years. We can help with this problem and see quick returns on their end from the investment. Matt: What changes are you excited about for the strength and conditioning market in the next few years? Connor: I think strength and conditioning coaching will only become more valued by the athletics industry. More coaches will get hired and the pay will improve. I sound like an old guy saying this, but the kids these days have a lot more distractions than we did that encourage them to stay inside. I look at some of the older cricketers and am amazed at the difference. They may not have all the best scores in our strength tests, but they can play day after day after day. The younger guys struggle with that. If this continues quality S&C coaching will only get more valuable. We, as coaches, have the opportunity to create robust athletes. The process kids go through when they are in the gym also has a real positive influence on the rest of their lives. As their coach we can talk about anything. School, girls, sometimes we get to pass along advice. Anyways, I think more organizations will realize the impact coaches have and start to put their best coaches at the youth level. If they do this for 4-5 years then they will be able to start sending better athletes up the chain. The level of play will improve over time. Right now they send interns to the bottom level when they are really better suited for sitting in the gym watching the pros lift, you know? I’d love the opportunity to spend a lot of time in-person with the 10-12 year olds in the Essex Cricket Club. But that’s a big shift, you know? It will take time for this to happen. Some of the football clubs (soccer to us Murican’s) do this and are quite progressive. To add to that, I really think remote coaching will continue to grow as well. More players will learn about the benefits of it and start reaching out to the coaches offering it. I’m excited to see where it goes. Brandon Wells is a photographer, song-writer, and natural bodybuilder who lives in Texas. He has used his creative skills to work with fitness professionals and brands such as 3DMJ, The Strength Athlete, SF Crossfit, and many more.